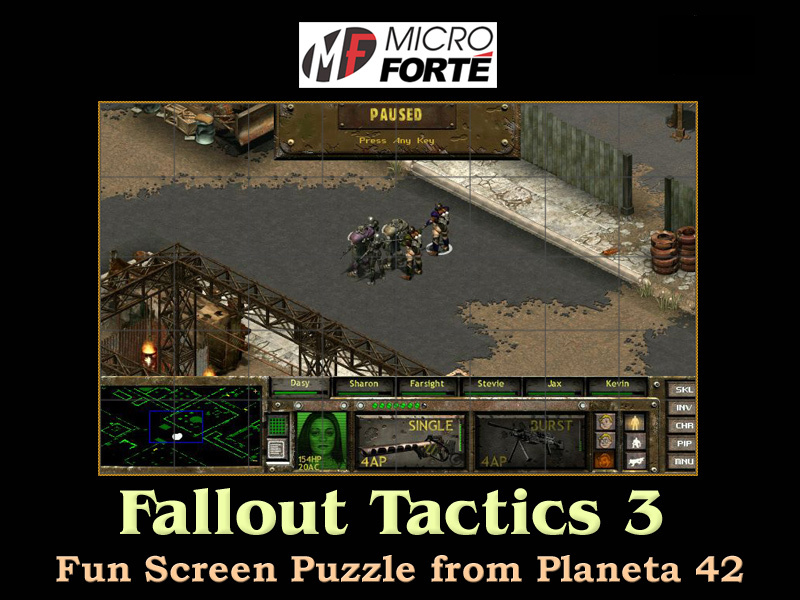 Do You know Fallout Tactics 3: Brotherhood of Steel RTT computer game. Fallout Tactics 3: Brotherhood of Steel is may be the best of all Fallouts out there. The RPG elements are more than the Action ones. Up to 6 team members may be receuited and the map holds many secret locations. Also vehicles may be used not only dor transportation, but for combat as well. 6 Similar Games. Games like Fallout Tactics 3 : Brotherhood of Steel.